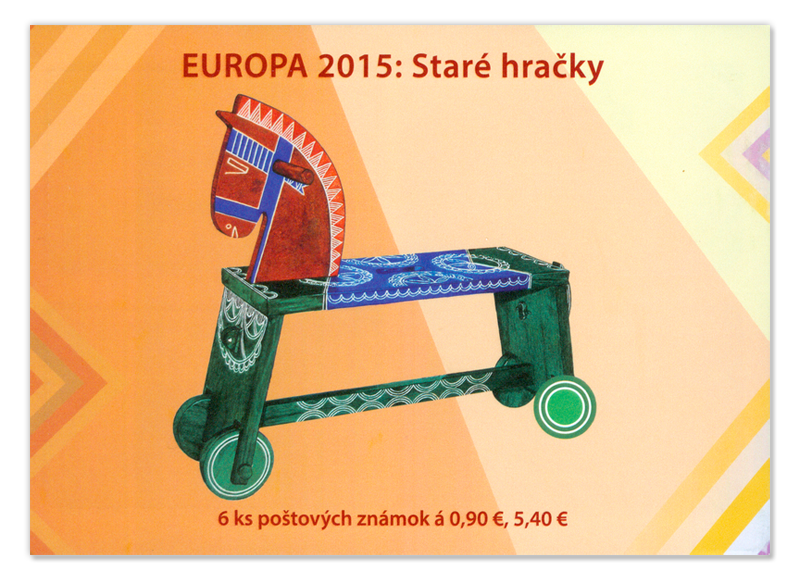 A stool-horse, also called a bežka-horse (runner-horse), used to be a favourite utility wooden folk toy. It is an improved type of rocking horse which enables the child sitting on it to move about freely by moving their feet and pushing against the floor. The basis of the toy is formed by a little stool made of boards, the legs of which are reinforced by a connecting board. In the lower part of the legs, pivots with wheels are inserted in notches on their sides. In the middle of the seat is an opening that facilitates grasping and carrying of the horse. A handle protrudes on both sides of the embedded horse mane made of a board. The body of the decorated horse ends in a fan-shaped tail made of a board inserted in the back part of the stool under the sitting board. 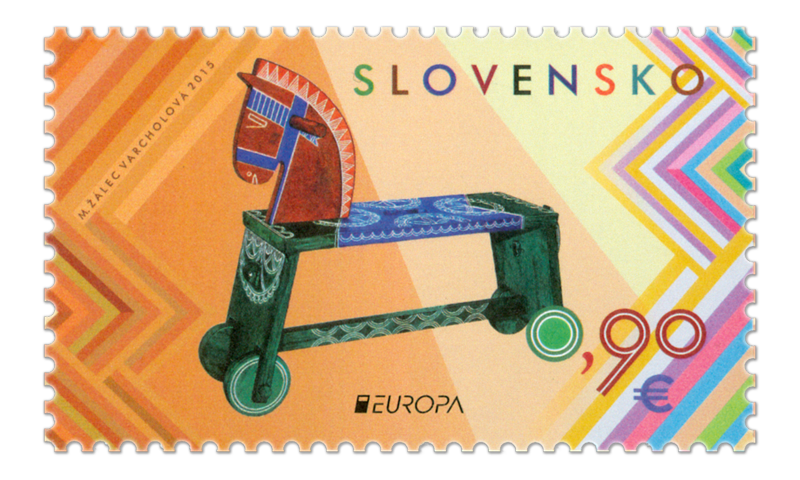 As with all Kyjatice toys, the stool-horse is unique for its ornamentation. On the multicoloured background, traditional ornamental elements (lines, spirals, arcs, half-arcs) are created both by the typical engraving and the circular engraving techniques. 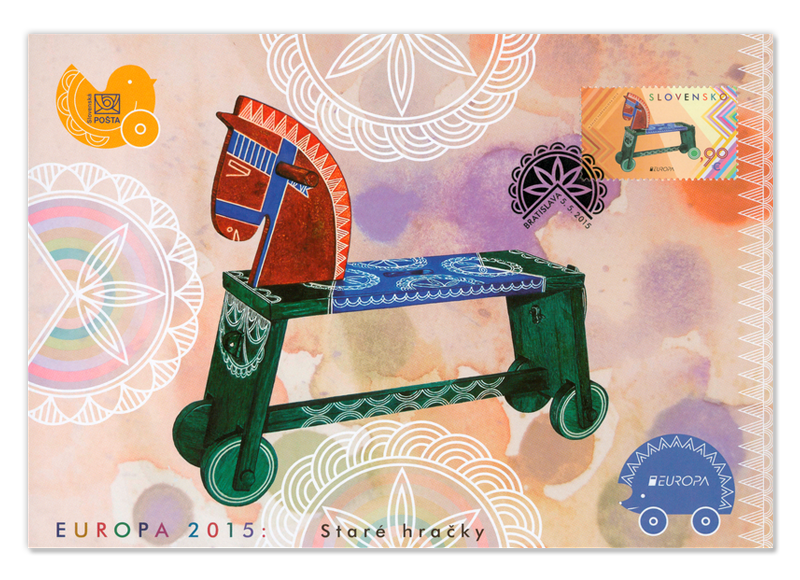 The production of Kyjatice wooden toys was based on the home production of folk furniture (cupboards, and so-called súsek coffers for storing corn and flour), well-known and widespread as early as at the beginning of the nineteenth century. When making these toys, the producers used traditional methods during the construction and subsequent decoration. Only beech wood was used to make toys of this type, because, due to its structure, it was the most suitable for the decoration of the finished products. The diversity of colours was originally achieved by natural and later industrial mordents. 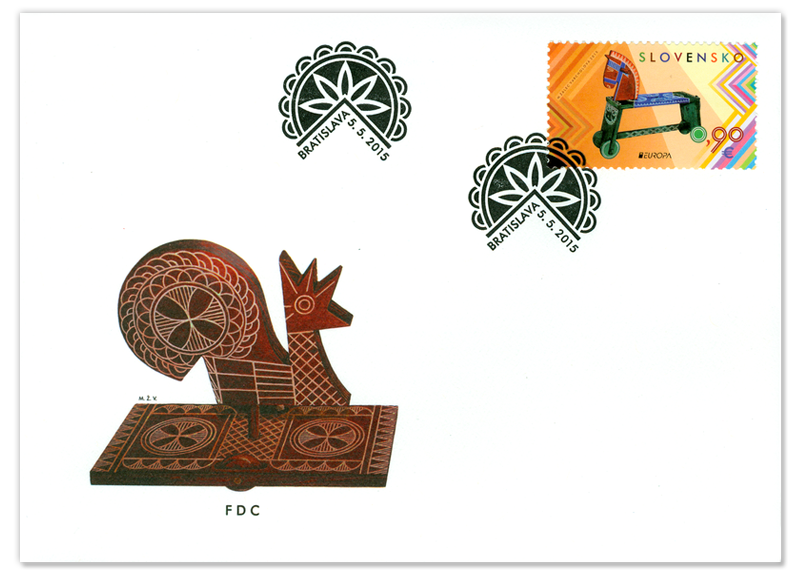 Folk trade production in Kyjatice was revived in the 1920’s thanks to the foundation of a wooden toy production centre. Mass production thrived until 1946, when it started to deteriorate and died at the turn of the 1970’s. Ján Ulický experimented with this kind of production from 1980 – 1985. 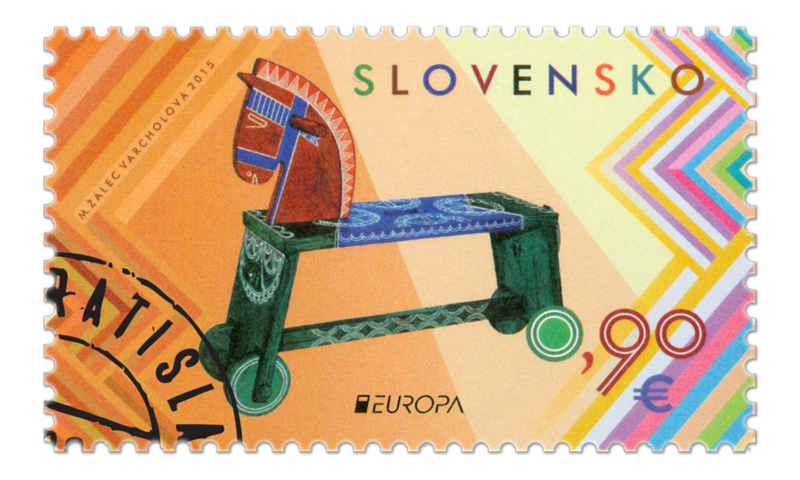 The last producer of Kyjatice toys for The Centre for Folk Art Production was Master Rudolf Stehlík.